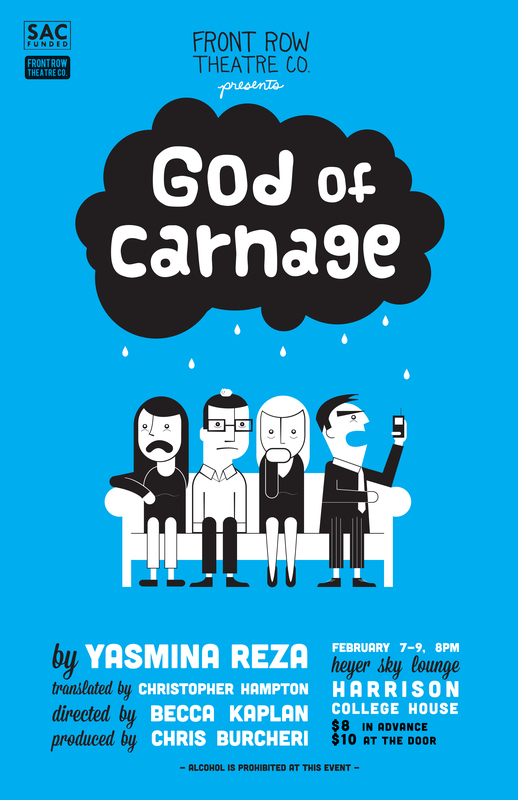 FTC Presents…God of Carnage – Front Row Theatre Co.
God of Carnage is a comedy of manners without the manners! This internationally acclaimed comedy takes you into the most dangerous place on Earth: parenthood. The play is about two pairs of parents, one of whose child has hurt the other at a public park, who meet to discuss the matter in a civilized manner. However, as the evening goes on, the parents become increasingly childish, resulting in the evening devolving into unmannered chaos. Previous Post Auditions and Tech Interviews for The Children’s Hour! Next Post Propose to Direct for Front Row!